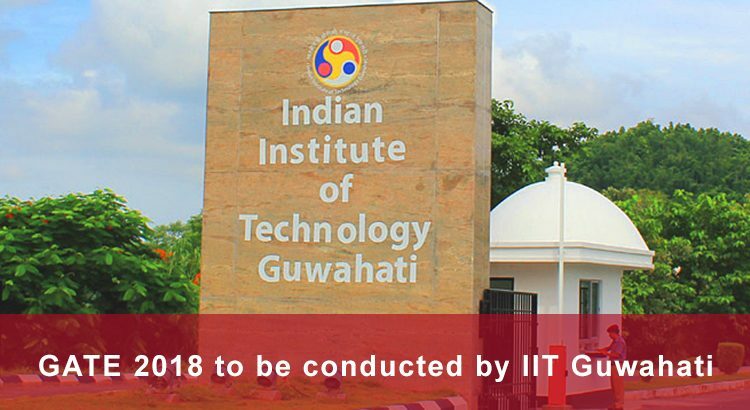 It is official now that the Graduate Aptitude Test in Engineering 2018 (GATE 2018) will be conducted by Indian Institute of Technology Guwahati (IIT Guwahati). It was in the year 2010 that IIT Guwahati conducted the GATE exam. Besides conducting GATE exams, IIT Guwahati also has the privilege of conducting the JEE Advanced exam in 2016. The announcement regarding this was made on the official website of IIT Guwahati. An official notification is expected to be released soon. The GATE exam is taken by students of 23 engineering streams who are aspiring for higher studies such as M. Tech, M. S, and other post-graduate programs, apart from those students who want to pursue their engineering career through PSUs recruitment. The GATE exam is generally conducted in the month of February each year. Interested candidates can register themselves for GATE exam through GATE Online Application Processing System (GOAPS) in the month of September-October every year. The GATE competition is getting tougher year by year as the number of applicants in GATE has increased immensely. It is quite evident from the fact that in the year 2010, the total number of GATE applicants was around 4.6 lakh. Last year in GATE 2017, the number of applicants went more than double i.e. 9 lakh. Generally, it is the candidates from Civil Engineering (CE), Mechanical Engineering (ME), Electrical Engineering (EE), Electronics & Electricals (ECE), and Computer Science (CS) who appear in the GATE exams in large numbers. Therefore, the cut-off percentage for these engineering streams is higher. For CE, the cut-off goes up to 29, for ME the cut-off is 33, and for EE, ECE and CS the cut-off is 25.20, 25, and 25, respectively. GATE is an online competitive exam that is to be attempted by candidates in 3 hours. The GATE question paper consists of 65 questions which is a mix of multiple choice questions and numerical answer type questions. The GATE exam is written by candidates in a computer-based environment with the help of a virtual calculator to perform mathematical calculations. Besides the subject paper, the GATE exam also includes General Aptitude paper, which is designed to test the candidate’s aptitude and understanding of general mathematical concepts as well as reasoning and logical aptitude. The syllabus of GATE is vast and requires serious effort and dedicated time for preparation. A candidate has to give his best, along with a lot of patience and energy to cope up with the preparation for GATE, and score good GATE score. For engineering students aspiring for GATE 2018, the GATE Online Test Series (GOTS) program by IES Master can prove to be very beneficial as it helps them prepare a base for their GATE preparation. Here is how students going to take the GATE 2018 can benefit from GOTS. Enough questions for practice: The GOTS by IES Master includes a large number of practice questions on various subjects and topics. The questions are set by expert faculty who are ex-IITians and GATE and ESE rankers. The experts know the mind-set of the GATE exam conducting body, and prepare the questions accordingly. 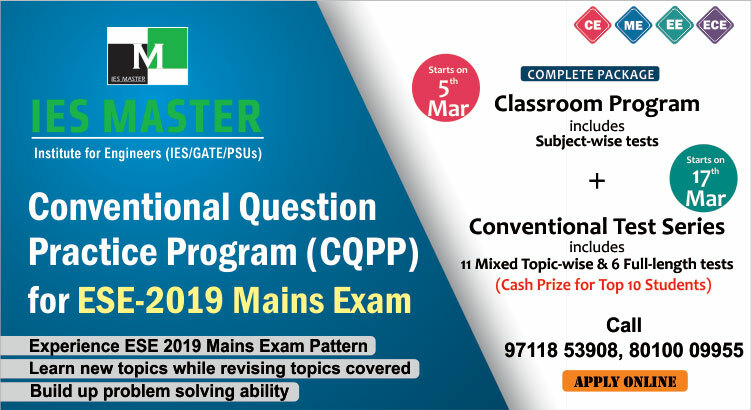 Clarity about concepts: The GATE Online test series by IES Master has been designed by subject experts and faculty members of IES Master after a detailed research in their respective subjects. The GATE syllabus, exam pattern and previous years’ questions were kept in mind while preparing this Online Test Series for GATE 2018 preparation. As a student, it becomes very difficult to keep updated with the latest changes in the GATE exam pattern. However, the expert faculty members of IES Master are always on their toes to keep themselves abreast with the latest exam pattern. Therefore, the question papers set by them are as per the latest exam syllabus and pattern. Recall whatever you have learned: The GATE Online Test Series program can help you revise whatever you have learned so far before taking the real exam. This test series in the past has proved beneficial to students in revising concepts related to subjects, learning basic fundamentals, and other key notes related to topics. Besides, this program will help students in boosting their morale, giving them the required confidence, and go with a positive mind-set to take the GATE challenge. In other words, there cannot be any other GATE preparation strategy than GATE Online Test Series by IES Master. Self-analysis of performance: By taking the GATE Online Test Series of IES Master, students will get a chance to monitor their preparation level at regular intervals. The subject experts will time to time provide an in-depth feedback about the candidates overall performance in the test series. With this, students will get to know about their areas of improvement, and work upon them to improve their performance level. The GATE Online Test Series is going to start from 15th July, 2017. Registrations for the program are open now. So, hurry now! If you have any doubt or query related to the GATE Online Test Series program of IES Master, you can contact the IES Master Help Desk at 0 80100 09955 or 0 97118 53908.